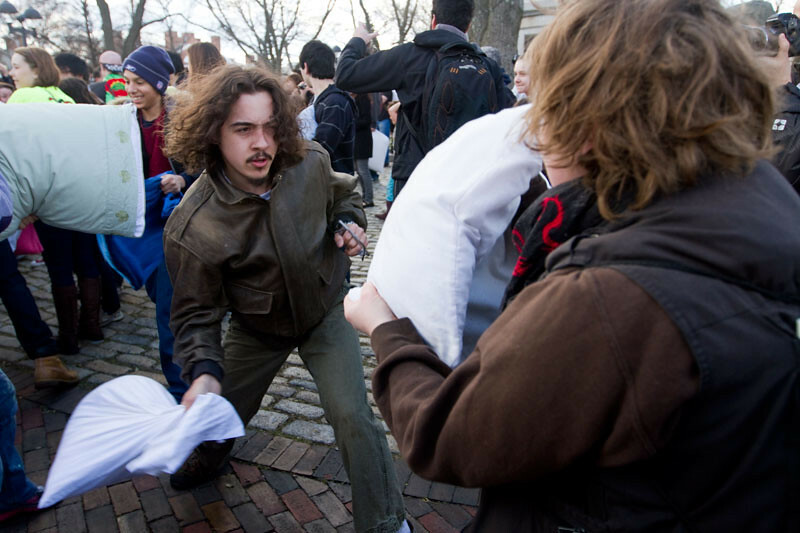 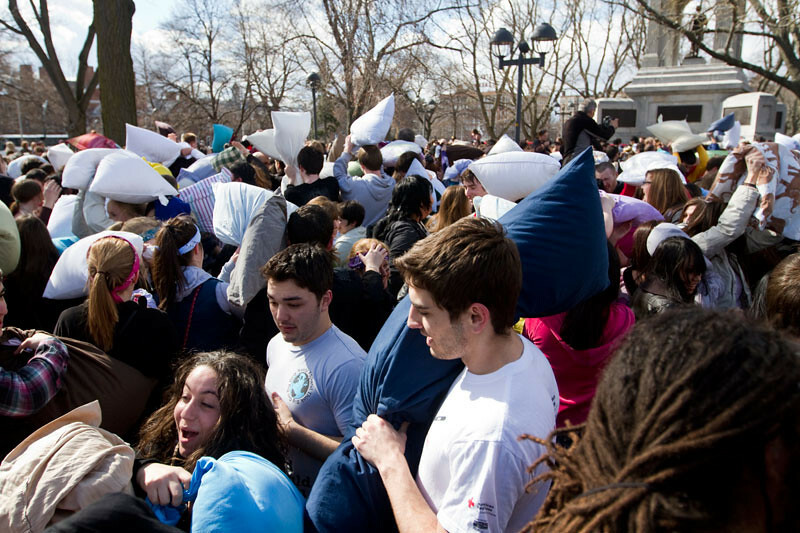 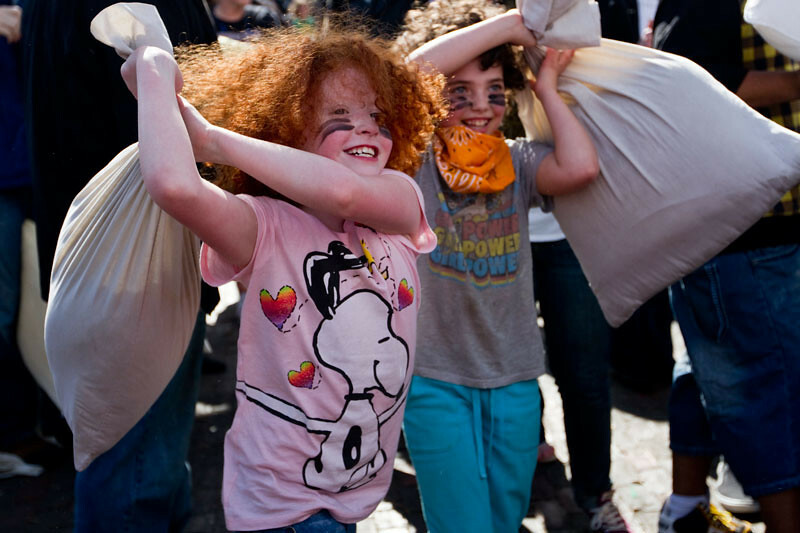 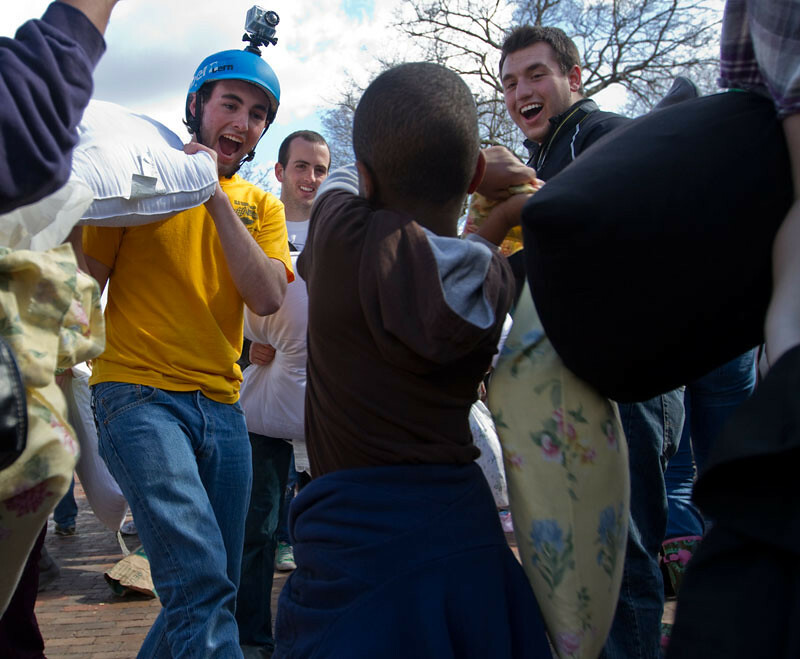 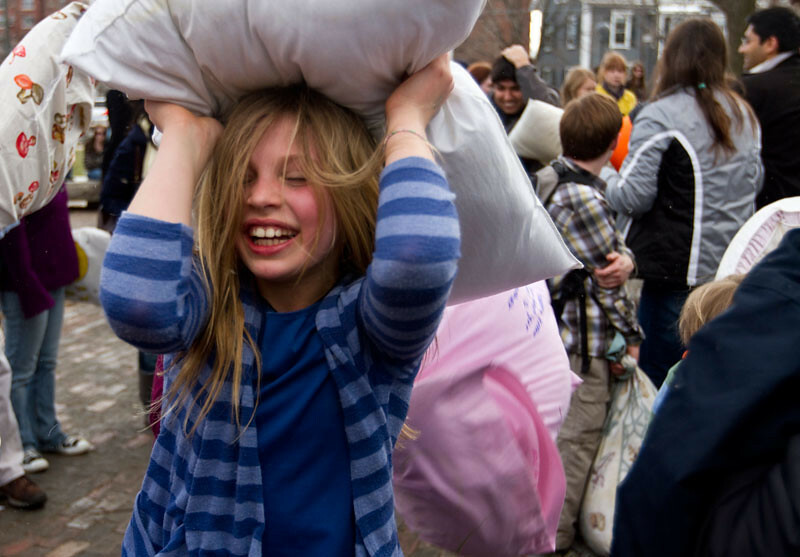 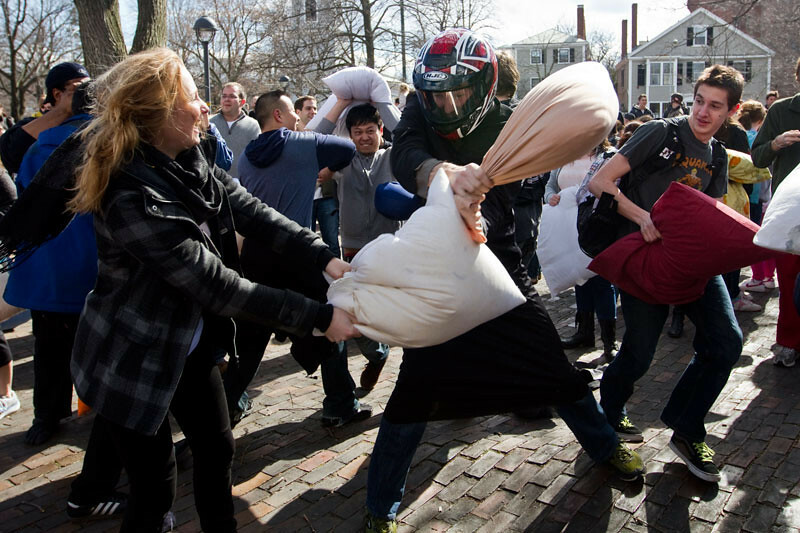 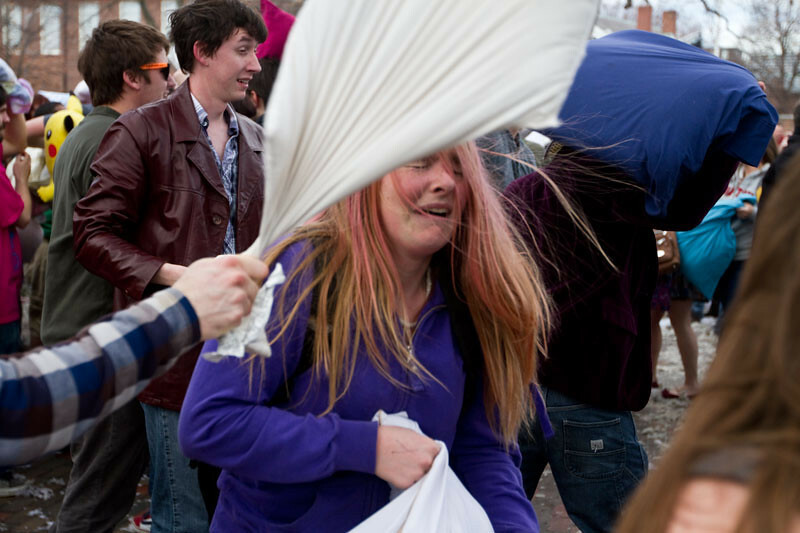 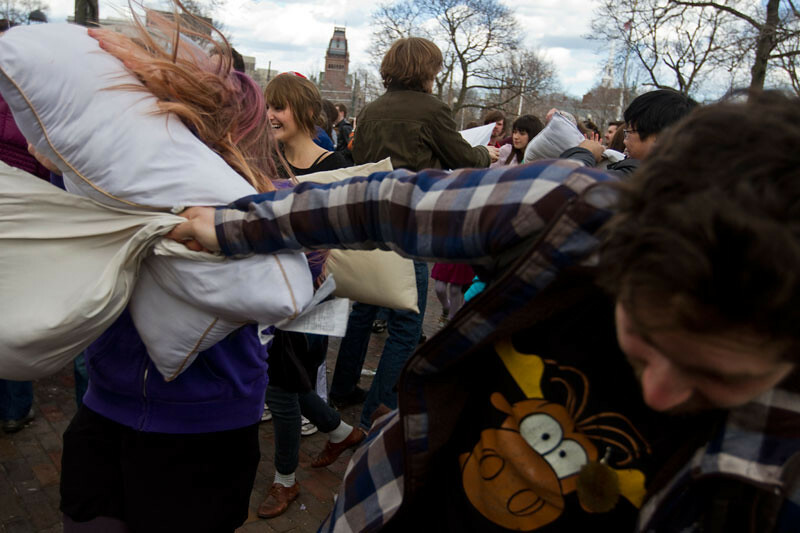 As part of a worldwide plot to hold giant pillow fights in public spaces, hundreds (maybe a thousand) people gathered at the Cambridge Common in Cambridge, Mass., to promote camaraderie through pillow fighting. 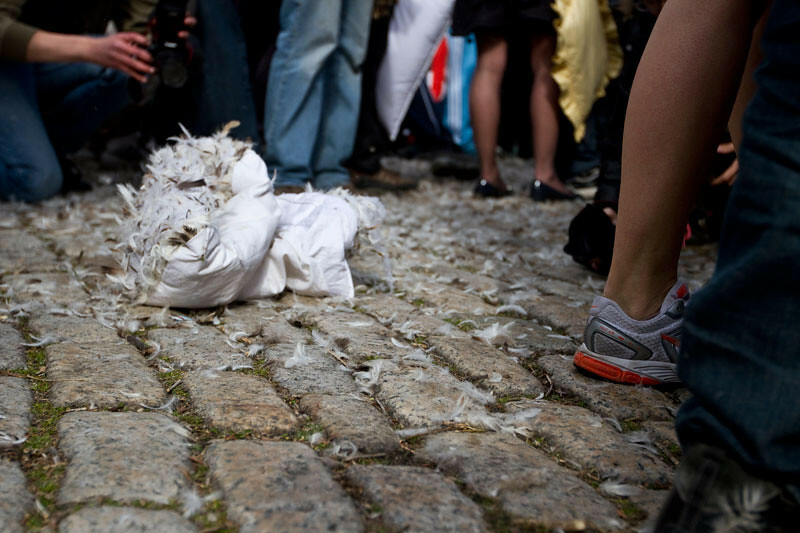 One of the “Banditos Misteriosos,” the Boston event organizers, who would only identify himself as “Bandito E” said that the event is a part the “urban playground movement”, which promotes the idea that there is “more to a city than bars and restaurants,” and encourages people to use outdoor spaces to interact in new and unique ways. 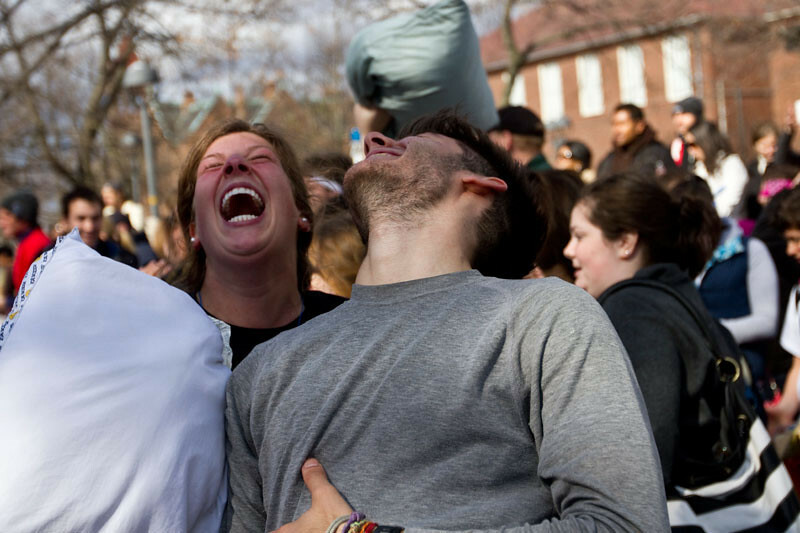 This was a difficult event to photograph, with so much going on and so many people, but after a few minutes, I decided my goal was simply to capture the pure joy that was happening all around me. 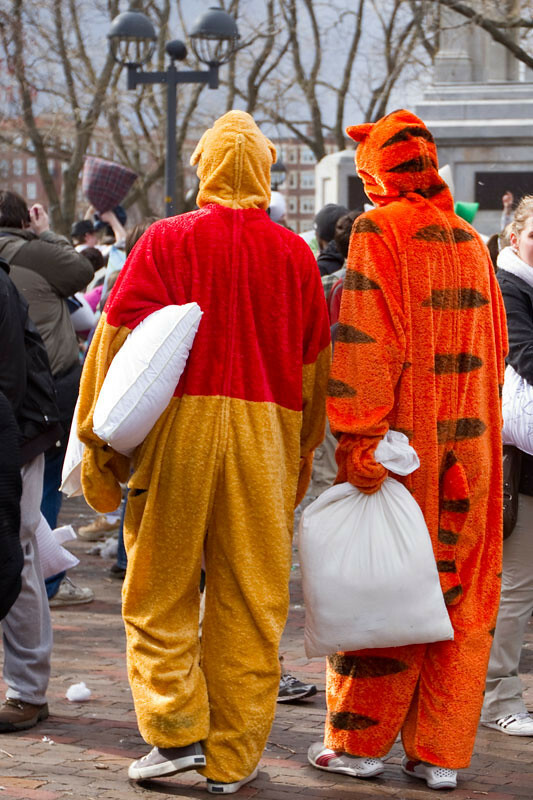 See the whole set HERE!